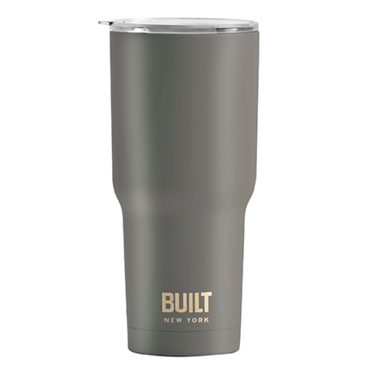 This Vacuum Insulated Tumbler features 18/8 double-wall stainless steel, vacuum-sealed construction, and maintains the optimal temperature of cold beverages for 24 hours and hot beverages for 8 hours. Features a durable, threadless Tritan lid that easily slides open and closed for one handed drinking. BPA-free. Fits standard sized cup holders. Hand wash only. Holds 30 ounces. L 3.85" x W 3.85" x H 8.5"